This is an amazingly flexible jacket. 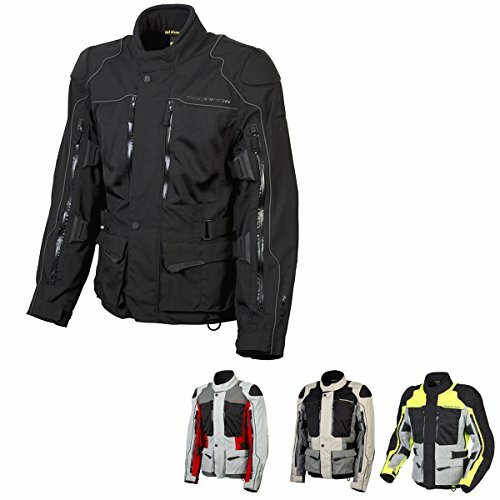 This is a windproof textile jacket for cool days, however fold down the internal windproof panels at the chest and back; open the whole length arm vents and facet torso vents, and you’ve got most air waft on hot days. An extra removable zip out Airguard water-resistant liner way you’ll be able to maintain wet weather, and the included removable thermal EverHeat liner assists in keeping you heat when it gets cold. Sas-Tec CE certified viscoelastic armor is utilized in shoulders and elbows. From touring in cold wet climates, to commuting in hot humid places, the Yosemite jacket will maintain it all.